It’s not a good day for doing artwork, so I thought I’d post about something for a while ago. 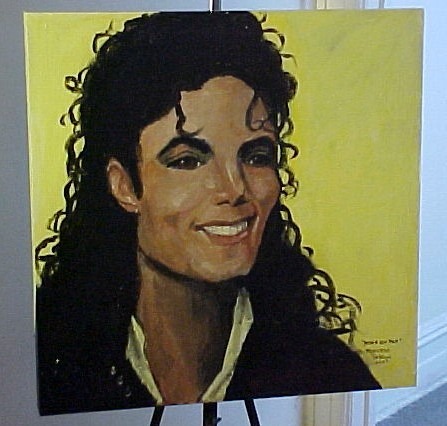 After Michael Jackson’s death, I thought someone might appreciate a hand-painted portrait of him. I painted this, and put it up on eBay. What a disaster. I was in competition with Chinese artists who work for pennies an hour, and also some dishonest people who would sell giclees (which are inkjet prints of art), embellished, and call them hand-painted. Of course, all of these sold for cheap, and either the buyers didn’t know the difference, or didn’t care. I finally let it go for a little over the cost of materials. I did not make my labor costs. So, never again.